This past weekend I attended the 2nd North West Bloggers event, organized by the always lovely Hannah. We descended upon Revolution on Matthew Street, a stunning bar with a delicious cocktail menu and a variety of specialty shots too…not that I partake…often….ok, maybe that’s a little white lie, let’s just gloss over that! Onto the event! I headed into Liverpool with my bestest blogging buddy Jackie of Just Add Ginger. We grabbed some iced teas, it was unbelievable hot and sunny for a change and went in search of some free Wifi so we could hook up with some of the other bloggers attending and figure out just where exactly we had to go! Eventually we found ourselves in Revolution…at the bar, where we met up with Bethany, Chloe, Roxanne, and Rachel. Bring on the cocktails, the chats, the laughs and the ‘I think that’s such and such a person off Twitter BUT I’m just not sure’, yeah, that happened a lot! Eventually we headed upstairs and the meet up began! The afternoon was spent talking blogging with a whole bunch of lovely ladies, some I had met before, some I had twitter stalked (c’mon we all do it!) and some who I was just meeting. What I love about these events is how lovely everyone is, there is always a really friendly, welcoming atmosphere, and just when you think you’re the only nervous person in the room, you realize that you’re all in the same boat and things become a lot easier. As the day went on (and the cocktails flowed) it was much easier to go up to people and say, ‘Hey, I think you’re such-a-body off Twitter?’. We spent much of the afternoon talking about our passion for blogging, swapping tips and advice, giving each other ideas and sharing PR horror stories. It’s great not having to continually explain to people what ‘blogging’ is or why you do it, these girls just get it because they’re doing it just as much as you, and they all have a very obvious passion for it too. The afternoon was spent taking Krispy Kreme selfies, making purchases from Green Bubbles and Tear Drop, receiving beauty treatments from Urban Calm, having make-overs by the amazing Rebekah Treherne, raffle prizes, more cocktails, sweets, hanging off a balcony and waving to passers by, and laughter. Lots of laughter. After the event a group of about 10 of us stayed back and had a good ol’ chin wag for a while, took part in happy hour, then headed to Nandos! Everyone was feeling a little giddy (ahem, Hannah and Leanne!) and as we walked across Liverpool one or two mean Girls quotes might have been thrown about…loudly…! 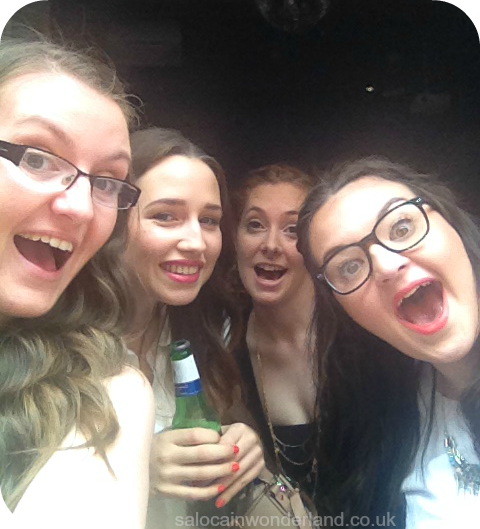 Big shout out to the other Nandos ladies; Sara, Sophie, Kelsey, and Jess! After some much needed food and making fake 90s headset microphones out of straws we all said our goodbyes and headed home, goodie bags on arm and good times had by all. 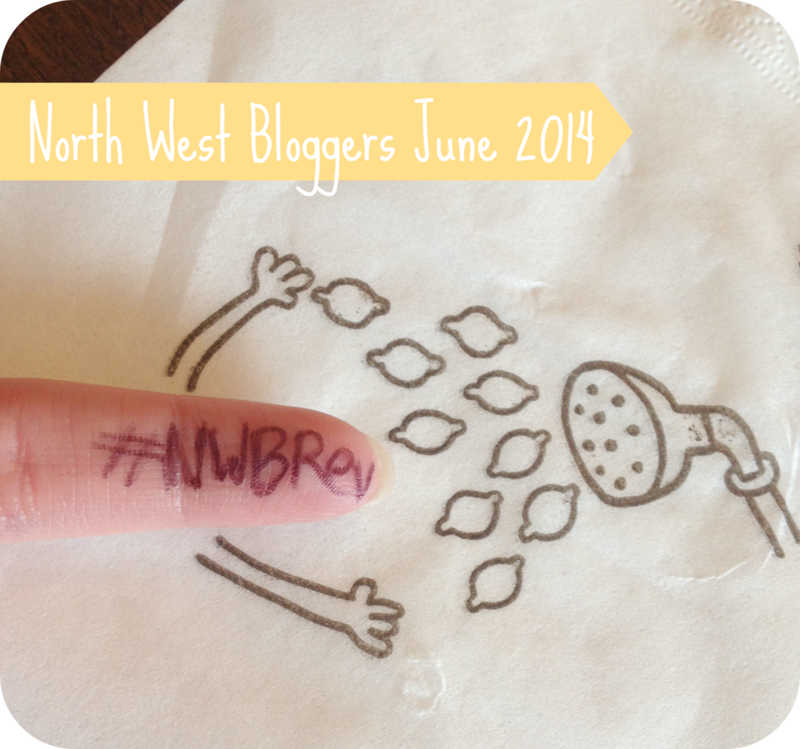 The 2nd North West Bloggers event was a huge success and I can’t wait for the next one! I met some amazing ladies who I hope to catch up with again soon! Big thanks again to Revolution to hosting the event, to all our sponsors, to those who took the time out to attended and of course, to our lovely Hannah for making it all possible! Did you attend the event? Have you attended bloggers events in the past? Let’s continue the convo below! We did! Can't wait for the next one! This looks like so much fun! I went to one on Saturday and met Roxanne, she's so funny. Did she tell you about the lush/wine incident, it was one of my highlights of the meet haha. Roxanne is fabulous! She told me all about the Lush/wine incident haha, I couldn't stop laughing, sounds exactly like something she would do! We had a great time on Sunday and a lovely catch up! I wish I'd known sooner about the meet you guys went to, I could have been her coach buddy! This looks like so much fun. I'd love to go to a bloggers event. If you ever get the chance to go you should! It's great way to meet awesome, like minded people!